Cosentry resells RiverMeadow Cloud Migration SaaS to its customers as an integrated service within the Cosenty cloud platform. If you need to provide powerful server migration services to your users or customers, the RiverMeadow SaaS and its API give you unlimited choices. 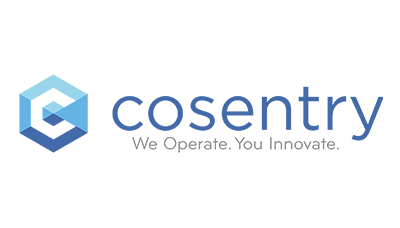 Cosentry is the trusted leader in Midwest Data Center Services, providing solutions that allow our customers to focus on their core business, knowing that their IT Infrastructure is operating at the highest level of reliability, performance, and security. Cosentry has over a decade of experience providing data center services throughout the Midwest region, which include Colocation, Cloud, Hosting, and Managed Services. We operate as our customer’s local business partner, taking the time to truly understand their businesses and tailoring our solutions to meet each customer’s unique IT business and technical requirements. Whether you are virtualizing, consolidating, optimizing, or fully outsourcing your data center and IT infrastructure, Cosentry can help with resilient and versatile solutions. "The RiverMeadow Cloud Migration SaaS is an incredible tool, giving clients a fast and cost-effective way to migrate their existing servers to a cloud platform more focused on supporting mission critical applications."